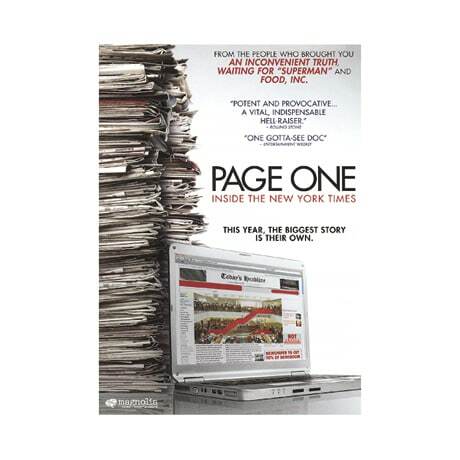 (Nominated for the Critics' Choice Best Documentary Award) In an era when online news has made newspapers an endangered species, the New York Times remains a standard bearer for the printed word; as this eye-opening 2011 documentary reveals, staffers have had to make herculean efforts to keep the Times accurate and relevant. Essentially an all-access pass, this is a probing look at a year in an often contentious newsroom, where such reporters as David Carr, Tim Arango, and Brian Stelter consider the future of their profession and compete for the opportunity to shape the news. DVD extras include interviews with Carl Bernstein, Emily Bell, and Sarah Ellison; additional scenes; a Q&A with the cast and filmmakers; and a mini-feature on Arango and João Silva in Iraq.